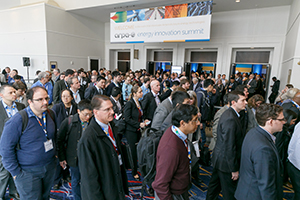 The Summit attracts the “who’s who” in energy technology innovation—from top researchers and technologists to investors, influential policymakers, and other key industry decision makers. Summit partners can generate significant brand exposure through exhibit and sponsorship opportunities. eventPower welcomes partners from a variety of industries and organization types, including major industrial firms, professional service providers, R&D laboratories, financial institutions, investors, and others. We have partnership opportunities at a range of levels, from $1,800 to $50,000.